Eee! thanks for the link love, pretty lady! Enjoy your weekend and a new bunch of peonies (it's okay, I buy no less than one new bouquet of 'em every week). 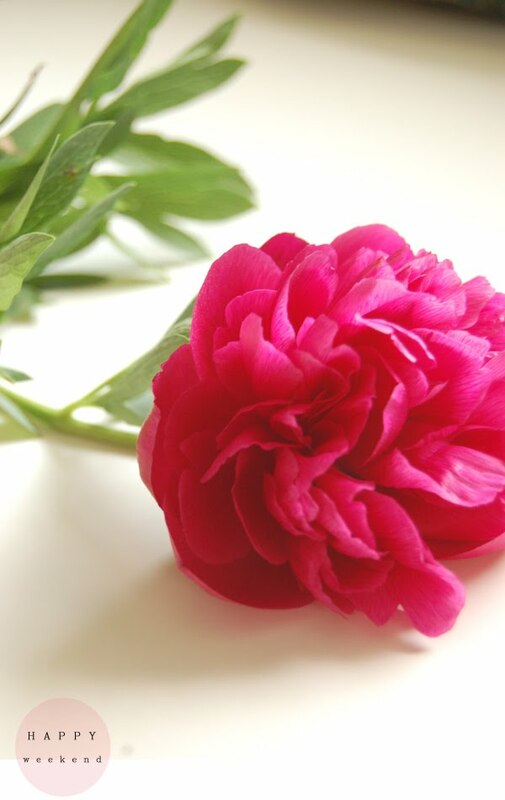 Peonies are a favorite of mine and this shade is beautiful. Hope you have a wonderful weekend Alli! Off to catch up on your blog! I want to see Midnight in Paris too! Jealous of your trip to Ohio...I will be heading there in August and cannot wait! p.s. yes, the Jess LC giveaway is for real :). I am doing a giveaway every Friday this summer of products/from companies I love. Hope you're having a great weekend! I am envious of Melanie but so happy for her! And I saw Midnight in Paris last week and I can gladly recommend that you see it too! Hope to hear more about the fun shoot you guys are working on for the online mag! Hope your weekend was good! I loved the surprise! The entire day was a blast! Hope you had a great weekend (can't wait to hear what the surprise was). Peonies are almost popping up in my garden - they are my fave! Sounds like you, and us *your readers* have lots to look forward to! Beautiful! Hope the surprise went well and congrats on the styled shoot!!! That's amazing, can't wait to see! We have loads of red peonies in our garden, and two pink ones. The pink ones are definitely my favourite.